This question seems a bit self-serving coming from a consultant. One would think that I wouldn't even raise a shadow of a doubt and always answer "Yes, you need a consultant". But I am a consultant, not a salesman, and I'd rather you have the right solution for your needs. Truth be told, I'm not really concerned about losing my job. Salesforce is a huge tool with tons of functionality that often requires a certain level of experience, expertise, and insight that the every day do-it-yourselfer doesn't have. Does that mean that you as user can't figure it out, and implement it yourself, no absolutely not, but it can be difficult and time consuming, sometimes its a matter of want rather than need. Today I want to take into consideration a few items you may want chew on before hiring a Salesforce Consultant. A lot of people these days call themselves consultants, when what they really are is a contractor. A contractor is an expert in a particular subject matter and they get hired to perform a task. There’s nothing wrong with that, but you need to be clear that that’s all you’re getting. Don't pay consulting rates for a Contractor. A Consultant will ensure you understand your Salesforce deliverable, how to use the tool, how to troubleshoot any problems, and how to modify or simply maintain your Salesforce Instance. They will also share their years of experience and insight so you are well informed on what you’re doing and why you’re doing it. As a result, you have a professional deliverable, specific to your needs, designed with best practices in mind, and you understand it all. Do you have the people to do the work? Every project is going to require a lot of resources. There's project management, implementation, training, and roll-out. That can be the job of one person or multiple. Either way make sure you have the necessary man-power to handle your implementation. If not you will need to compromise to get things done. More than just “Do our people have the time for the project?” you need to consider your timeline. Do you need this project sooner than it would take for your internal resources to develop it? 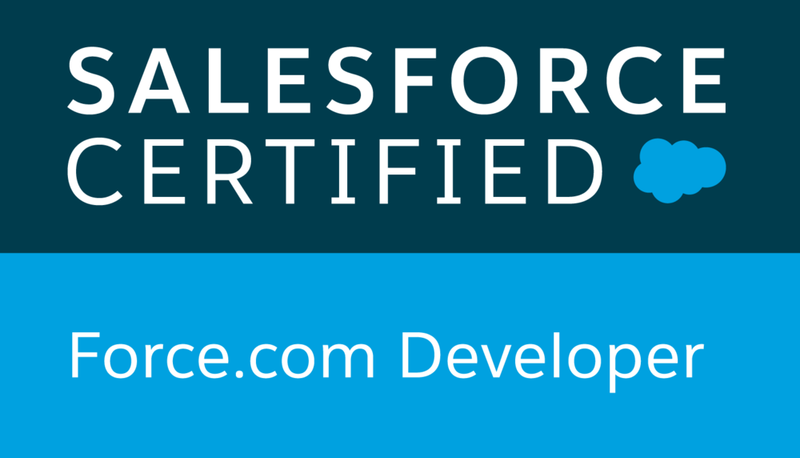 If they are not familiar with Salesforce, do you have the time for them to learn how to configure it? Conversely, a consultant can jump right in and configure your CRM with relative ease – an ideal solution if you are under a tight schedule. This goes hand-in-hand with the resource consideration. Even if you have the people and the time, do those resources have the technical skill sets to accomplish the implementation? They may be technically savvy, but not know the specifics of your CRM. Or they might be tech savvy but not have a full grasp of how the platform jives with your business. That's OK, they can learn. Just make sure you have the time to wait. Is it financially feasible to hire someone? Or can you afford to wait, especially if you're paying for Software for months on end and still not able to use it. Don't just consider the dollar signs associated with hiring someone. Give careful thought to the internal costs if you were to configure everything for yourself. We’ve discussed how you should consider what it’s costing you in terms of time and resources by completing your project internally. But more than that, you also need to consider what will it cost you if you do all that work and then fail. You may then still need to bring in a consultant after the fact to fix whatever went wrong. At that point, there’s no guarantee your consultant can reuse the work you already did. It may sound like I’m painting a bleak picture in which you have no recourse but to hire a consultant. That’s not the case. But there are realities that you need to consider to make sure you make the best decision for you and your organization. There are also alternatives that are not “all” or “nothing” when it comes to hiring a consultant. You could define a smaller project in which you hire a consultant to help you come up the curve initially and give you the skills to be proficient moving forward. Many organizations start small and then iterate as way to ensure resources and skills set gaps don’t get the best of them. You might decide you don’t need to internalize any of these skills, but hire a consultant on a one-time basis. You might decide to hire a consultant as projects come up, since they are not frequent enough to demand that you bring those skills in house. Every organization is different and you need to assess what will work best for you to help ensure success.